Sunbathing at the Battle Creek Sanitarium, photograph. This photograph features a natural light approach to heliotherapeutic methods. These men are depicting lounging outdoors on towels within the grounds of John Harvey Kellogg's Michigan sanitarium at Battle Creek. 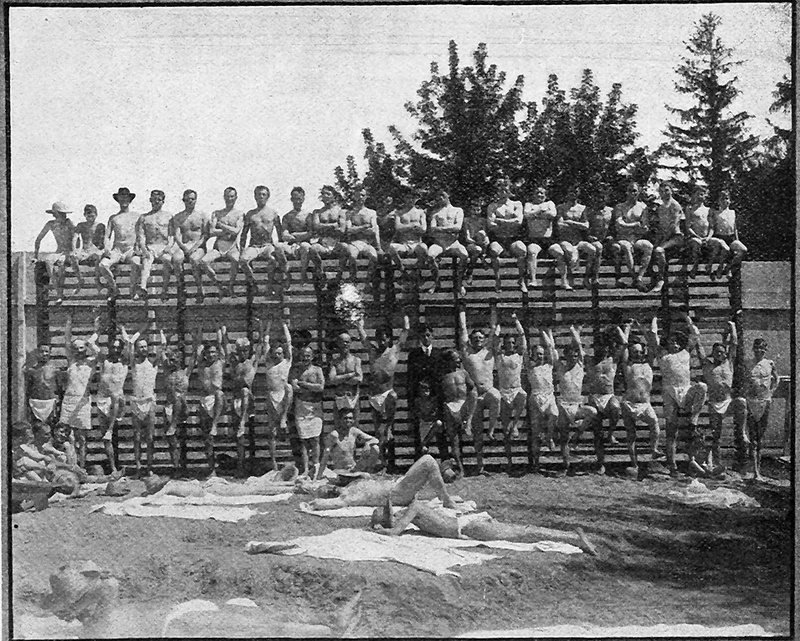 Kellogg declared that he had been using sun baths in Michigan since 1876 in his book Light Therapeutics (1910). Kellogg experimented with many therapies, including both natural sunlight and electric light, for his patients at his sanatorium.